Wings, Worms, and Wonder Radish Zipper Pouches! 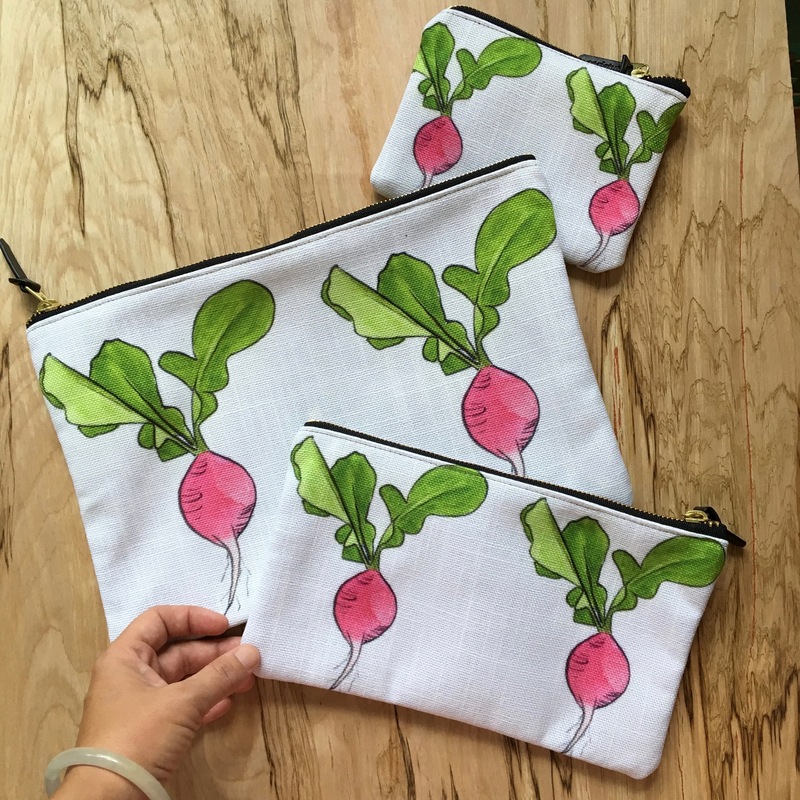 These high quality American made pouches feature a study metal zipper, are printed by Society6 with the signature Wings, Worms, and Wonder radish design on light canvas style exterior fabric, are lined in black poly-cotton, and have multiple interior pockets. 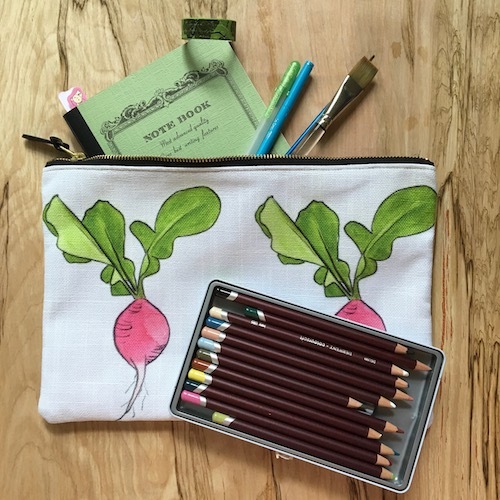 The large size pouch (12.5 x 8.5 in, pictured above) fits a full size sketchbook, plenty of art supplies, and even an ipad. The medium size (9.5 x 6 in) fits small & medium sized sketchbooks and color pencil sets or field watercolor paint set. The small size (6 x 5 in) is great for keeping your little items organized in style as you head outside for creative nature connection fun! Learn more & order 1, or a set of all 3, here!